DAVID LE/Staff photo. 4/17/15. 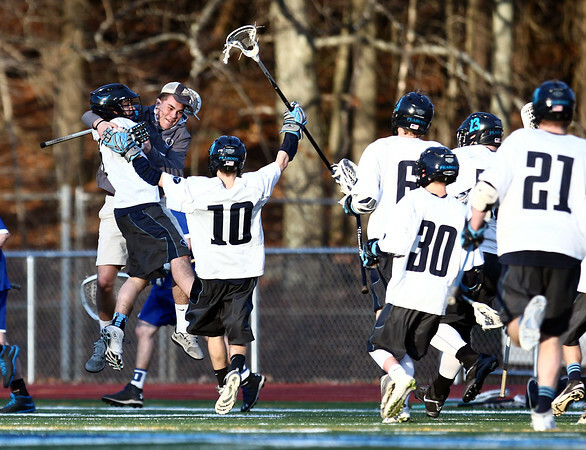 Peabody senior Bobby Caproni gets mobbed by his teammates after he scored the game-winning-goal against Danvers in overtime.